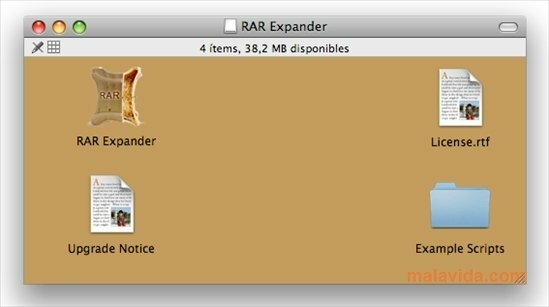 RAR Expander is here to cover the inexplicable lack of applications that allow us to open RAR files on the Mac OS X platform. The faultless way the system works when opening ZIP files is contrasted with the lack of tools to open RAR archives on a Mac. But thanks to RAR Expander this lack will be fixed. 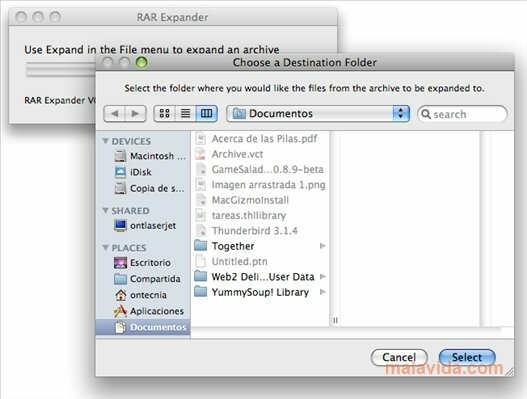 Once this program has been installed among our applications, we will be able to open RAR files on a Mac just as the ZIP files are opened, this means, once we double click on the archive, and without requiring a graphic interface, it will extract all the files that it contains wherever we indicate. 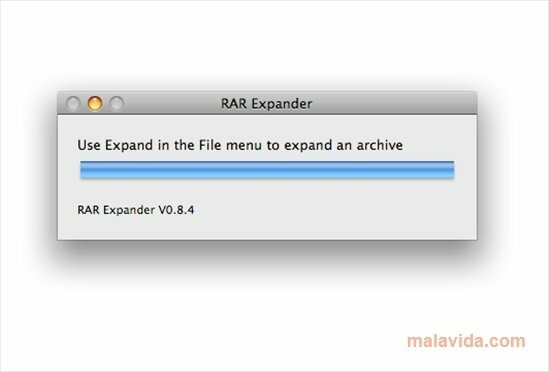 One of the positive aspects of RAR Expander is the use of the unRAR library, the only official one that guarantees total support for the features of the compressed RAR archives on our Mac, moreover, it will even allow us to open password protected archives. 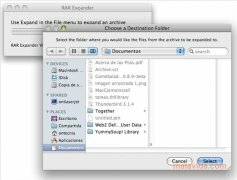 At the same time, RAR Expander fully supports AppleScript, with the possibility to use it to improve this tool's functions. Likewise, if we have RAR archives that have been divided into different parts, something very common on direct download sites, RAR Expander will be able to join these parts without any problems.